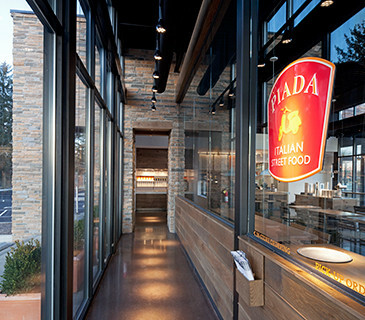 The Piada Group owns and operates a rapidly expanding fast-casual Italian street food restaurant concept with locations in Ohio, Michigan and Indiana. The company was recognized by Nation’s Restaurant News as a 2013 “Hot Concept” and features signature hand-rolled piadas, pasta bowls and chopped salads. The restaurant has grown to nearly twenty locations in just a few years and has developed a loyal following in its growing markets. 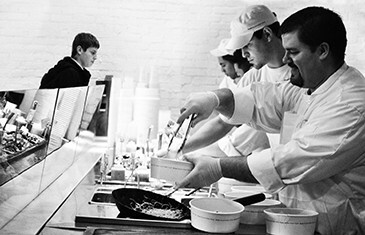 Piada has worked closely with Kegler Brown throughout every stage of its evolving lifecycle. From the company's initial concept development through its current expansion, our firm has served as outside general counsel, handling all of Piada's entity structuring, lease negotiation, intellectual property, fundraising and growth strategies. As a growing company, Piada has looked to the lawyers at our firm to develop an effective IP portfolio that will continue to benefit the company throughout its expansion. This includes not only the registration and management of domestic and foreign trademarks, but also addresses the tailored HR and employment strategies that the company needs to position itself for rapid growth. Acquisition of key real estate locations is critically important to the company as it considers expansion into new markets. Our lawyers work closely with the executive management team to handle all of the company's lease negotiations for its locations throughout the Midwest. Piada has worked closely with Kegler Brown throughout every stage of its evolving lifecycle.